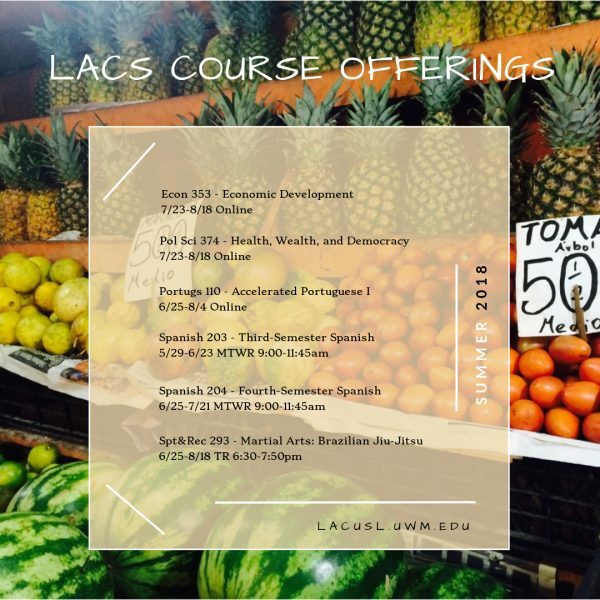 Listed below are the LACUSL and LACS courses available Summer 2018. 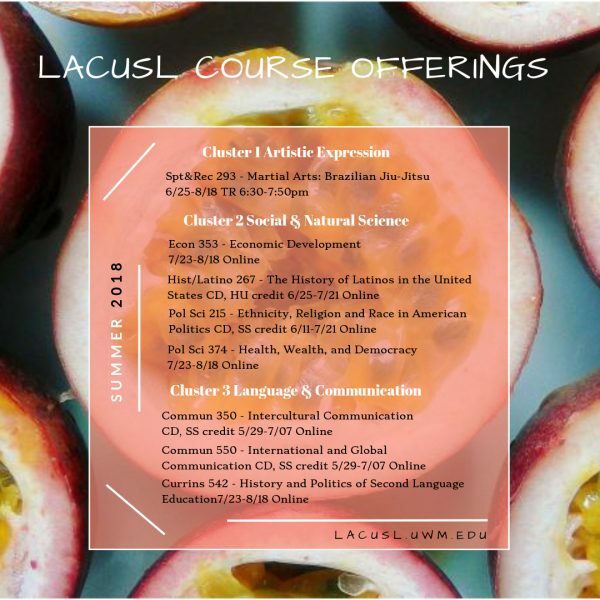 All LACUSL-listed courses may be applied to the LACUSL major and are organized by Cluster as it pertains to major requirements. All LACS-listed courses may be applied to the LACS Certificate. For additional information on these courses, consult the Schedule of Classes.